Or as low as $658.17 per month over 12 months. Apply Now. This model is equipped with a current feedback amplifier section that uses the same push-pull circuit found in Marantz MM8077 SM-11S1 Hi-Fi power amplifier. 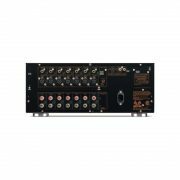 This amp is designed to provide increased operating stability, high-speed, and wide ranging high-density playback. The current/voltage conversion amplification section in the latter part of the power amp is equipped with a Wilson current mirror circuit that amplifies to the high sound range with low distortion. The Marantz MM8077 automatically switches to standby mode when there has been no signal for 30 minutes. This prevents power from being wasted whenever you forget to turn the power off. The Marantz AV8802A Network A/V surround processor/pre-amp/tuner lets you experience the ultimate in home theater enjoyment. The Marantz AV8802A combines advanced DSP and DAC technologies along with exclusive Marantz innovations such as HDAM and Current Feedback. Enjoy the ultimate in cinematic surround sound with Dolby Atmos, the most advanced motion picture surround sound system ever developed. Dolby Atmos features object-based soundspace creation and reproduction, with the ability to place sound elements with pinpoint precision via front, side and surround speakers along with overhead speakers or up-firing Dolby Atmos enabled speakers. You’ll enjoy a whole new world of content thanks to the many built-in network features, which includes Wi-Fi and Bluetooth wireless connectivity, and support for internet radio along with subscription streaming services including Pandora, SiriusXM and Spotify Connect. Introduced in premier movie theaters in 2012, Dolby Atmos has become the de facto standard for enveloping and immersive motion picture sound, and features the ability to dramatically expand the dimensional sound experience through the use of multiple overhead loudspeakers that can be individually addressed, to allow pinpoint acoustical imaging at precise locations within the room. Since its introduction, Dolby Atmos has been embraced by award-winning directors, sound designers and soundtrack mixers, and many recent blockbuster movies feature soundtracks mastered in Dolby Atmos. The latest immersive surround sound system, DTS:X, features object-based audio coding that lets the sound designer place sonic elements anywhere in the 3D acoustic soundspace, and provides for overhead speakers to deliver a stunning surround sound experience. The Marantz AV8802A also features DTS-HD Master Audio and other DTS technologies. DTS:X and DTS Neural:X Upmixer is enabled via firmware update. Auro-3D creates the sensation of actually being there. Thanks to a unique ‘Height’ channel configuration, recorded acoustic reflections are reproduced by these speakers and are heard naturally due to the fact that sounds originate from around as well as above the listener. Once upgraded with the Auro-Codec Decoder, the Marantz AV8802A is capable of decoding the original Auro-3D mix and playing back an Auro 10.1 channel configuration (including Voice of God channel). The Auro-3D Upgrade can be purchased for $199. 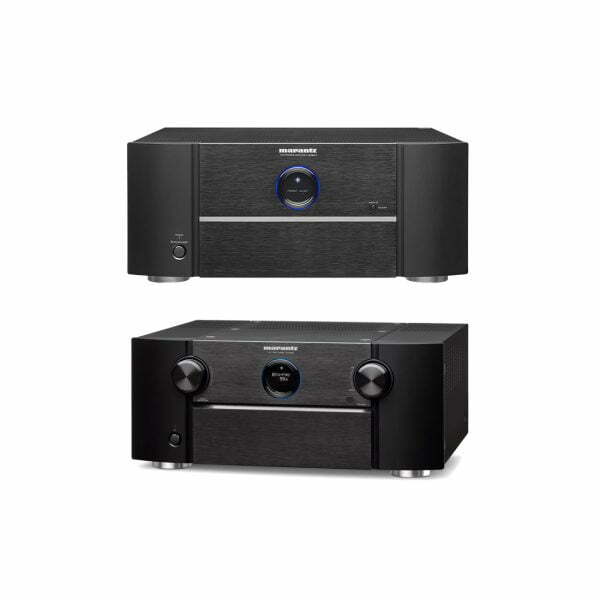 In addition, the Marantz AV8802A features multiple front soundstage expansion modes. DTS Neo:X | 11.1 provides additional front height and front width channel options. Audyssey DSX also provides for front height and width channels. Stream your favorite audio tracks wirelessly to the Marantz AV8802A thanks to the built-in Bluetooth and Wi-Fi (b/g/n) wireless functions. Equipped with dual Bluetooth/Wi-Fi antennas, the Marantz AV8802A lets you enjoy wireless streaming from your smartphone, tablet and portable music player. Via the Wi-Fi or LAN connection to your home network, the Marantz AV8802A opens up a whole world of streaming audio capabilities, letting you listen to any of thousands of internet radio stations. You can also enjoy streaming music from subscription services including SiriusXM and Pandora and listen to Spotify via the Spotify Connect app on your smart device. The Marantz AV8802A is also equipped with Apple AirPlay, so you can stream wirelessly from your iPod touch, iPhone and iPad. You can also connect the Marantz AV8802A directly to your home network via the wired RJ-45 LAN connection, and there’s a convenient front panel USB port for direct connection and charging to your iPod, iPod touch, iPhone and iPad, and connection to a portable USB device. Featuring an advanced video processing section, the Marantz AV8802A fully supports next generation 4K Ultra HD high resolution video, along with the latest generation HDMI specification including 4K 50/60Hz pass-through and 4:4:4 Pure Color full color resolution sub-sampling. 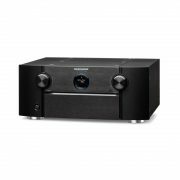 The Marantz AV8802A can upscale 1080p content to 4K and also upscale and transcode HD and SD analog video sources, so you can connect modern as well as legacy video sources and run just a single HDMI cable to your flat panel TV or projector. 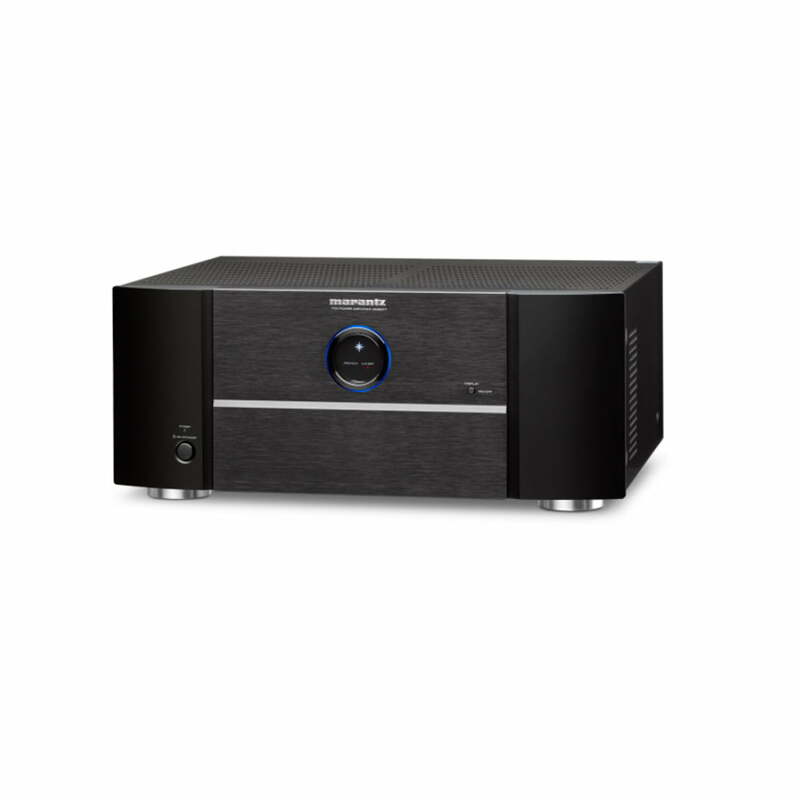 Certified by the Imaging Science Foundation, the Marantz AV8802A features a full selection of advanced ISFccc video calibration adjustments that lets a video calibration technician optimize picture quality with any TV or front projector. There are 8 HDMI inputs including 1 conveniently located on the front panel, and 3 HDMI outputs that let you drive 2 different displays in the main room (flat panel and front projector, for example) and another HDMI display in the 2nd zone, and they conform to the latest HDMI specification for 4K Ultra HD compatibility. The Marantz AV8802A also features full HDCP 2.2 compatibility, a requirement for 4K Ultra HD copy-protected content. In addition HDR – High Dynamic Range – and extended colour space by standard BT.2020 are supported. Enjoy your favorite radio stations with digital clarity via HD Radio. With HD Radio, AM sounds like FM, and FM sounds like CD. With Audyssey MultEQ XT32, you can quickly and easily measure and configure your particular home theater setup for optimum sound quality precisely tailored to your home theater room’s acoustics. With 8 measurement points, MultEQ XT32 generates a full set of precision digital filters to deliver the most accurate and natural tonal balance. The AV8002 is also Audyssey Installer Pro ready for even more acoustical calibration accuracy. 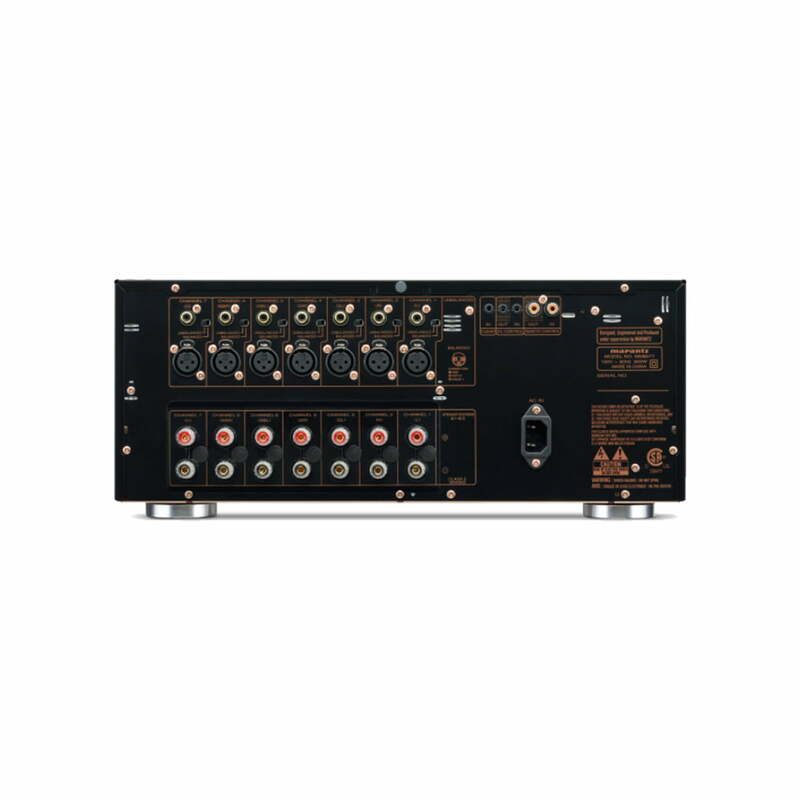 Featuring exclusive Marantz HDAM (Hyper Dynamic Amplifier Module) technology found on our Reference Series components, the Marantz AV8802A incorporates multiple HDAM modules which provide superior low noise wideband performance in an all-discrete configuration, compared to conventional op amp ICs. HDAM technology provides an ultra fast slew rate for true wideband response and maximum dynamic range to deliver optimum sound quality with todayís high resolution audio formats. In addition to HDAM technology, the Marantz AV8802A also features Current Feedback instead of the typical voltage feedback configuration. A Marantz innovation introduced on our very first audiophile amplifiers more than 60 years ago, Current Feedback technology provides a wide closed-loop bandwidth and very high slew rate, delivering superior fidelity with wideband audio sources. 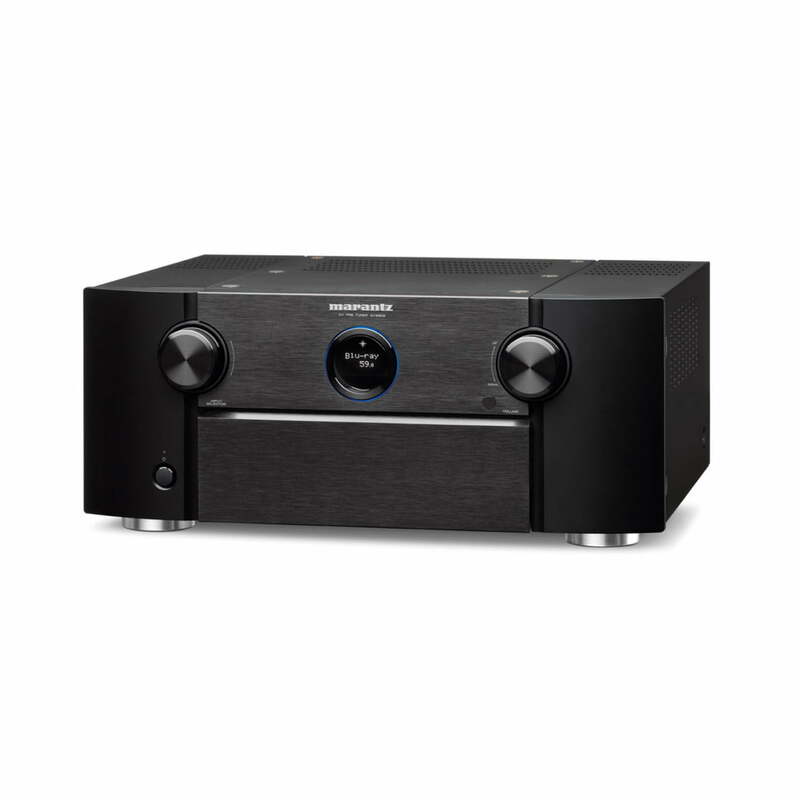 The Marantz AV8802A supports a wide range of audio file types, including MP3, WAV, MPEG-4 AAC and WMA. It also supports high resolution audio tracks up to 24-bit/192-kHz including AIFF, ALAC and FLAC formats, and includes gapless playback capability with many file types for uninterrupted listening enjoyment. It also plays 2.8-MHz DSD high resolution audio files (DSD is the advanced high resolution audio coding system for SACD). In addition to easy operation with the supplied ergonomically-designed remote control, the Marantz AV8802A features additional control capabilities. There’s an RS-232C serial port for direct connection to external automation equipment. The Marantz app (available in iOS and Android versions) lets you operate the Marantz AV8802A from your favorite device, such as a smartphone and tablet. You can also operate the Marantz AV8802A via web connection – open your favorite browser and easily control and configure the AV8802A, even when you’re not at home. Featuring premium grade AK4490 32-bit DACs on all channels, the Marantz AV8802A also features XLR input and outputs. There’s a balanced XLR stereo input that’s assignable as well as 15 balanced XLR outputs, which includes the 2 subwoofer outputs and front height/width and overhead channels. 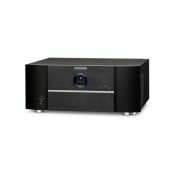 This extensive balanced XLR compatibility ensures top performance in the home as well as the studio, especially when there are long cable runs between the Marantz AV8802A and power amplifiers situated elsewhere. 19 pre-outs (RCA jacks) provide additional compatibility with multiple power amplifier types. 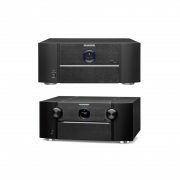 The Marantz AV8802A comes with a Quick Setup guide, and has an intuitive on-screen Setup Assistant that will have your system fully configured with a minimum of fuss and bother. You can even control the setup via your PC’s web browser or use our available Marantz Remote app with your favorite smart device. Founded in 1953, Marantz has a long and rich history of designing audio components that have been embraced by music lovers and critical listeners around the world. Because Music Matters so much in our lives, the Marantz AV8802A carries on our long tradition of delivering a superlative music listening experience, and it’s equipped to deliver the ultimate home theater experience as well. 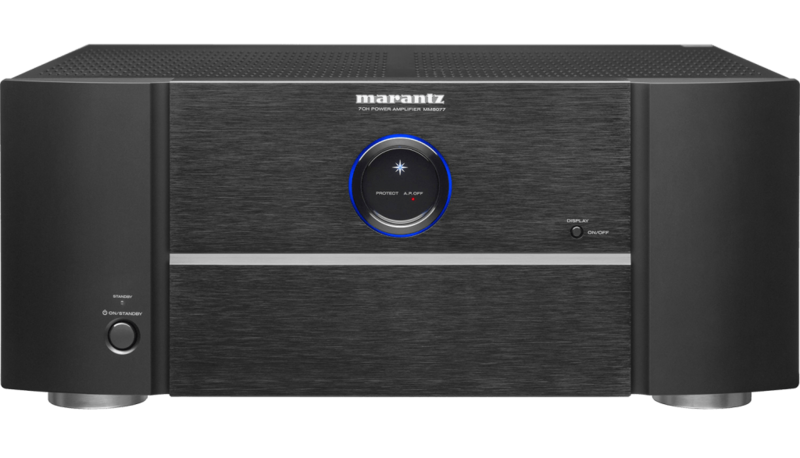 Marantz 1 Year B-Stock Limited Warranty.